These kinds of images aren't for everyone, but I find them the most expressive and conceptual in my collection. Pushing the boundaries of visual patterns and shapes. 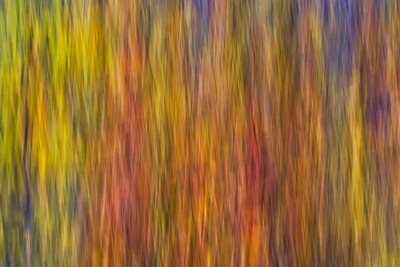 This collection of images will challenge you to see things that are not normally seen. 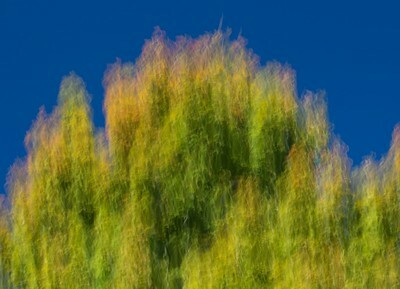 There are techniques such as "intentional camera motion" employed in most of these photos. This is a gallery for the creative types to enjoy. 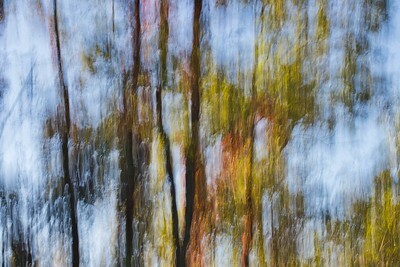 Altered reality, reflections, blurs and abstractions are abound! Indian Riffle Park, Kettering, Ohio Nothing can compare to creating art, it inspires the soul to step boundaries, to try something daring. © 2018 Ryan L. Taylor Photography. All Rights Reserved. Indian Riffle Park, Kettering, Ohio © 2018 Ryan L. Taylor Photography. All Rights Reserved. 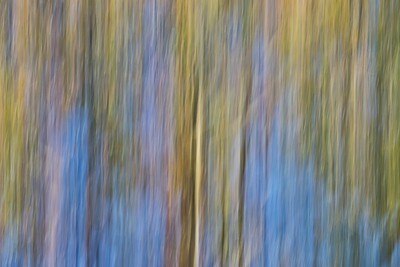 Indian Riffle Park, Kettering, Ohio Far from blasé, creative blurs such as this one excite me to create and print. 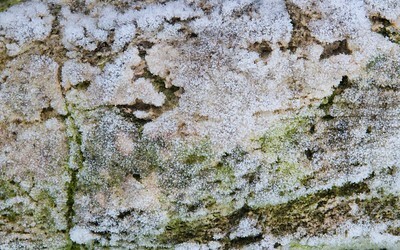 A prominent tree trunk to the right is slightly in focus as the DSLR was shifted down to make this capture. Surprisingly, bright midday light is the best time to craft these shots as it brings out the colors and glow without overpowering the the highlights. 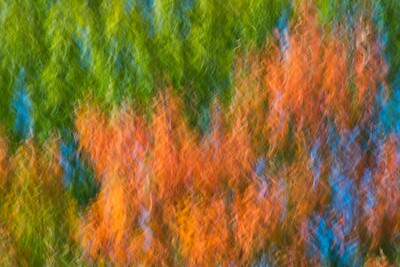 Also be sure to attempt this method during the Autumn foliage months for color variety that you cannot get much of other times of year. 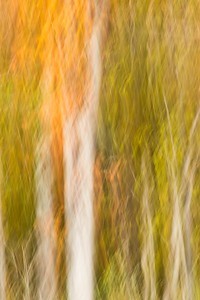 Digital photography also makes it easier than ever to take many frames through trial and error and pick your favorites. 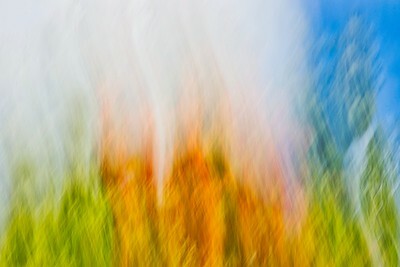 Using digital cameras can make for pushing creative limits as well. This particular day yielded about 20 unique images total. © 2018 Ryan L. Taylor Photography. All Rights Reserved. 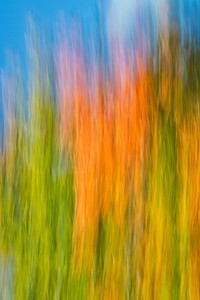 Indian Mound Reserve, Cedarville, Ohio One could argue this is a bunch of blurred pixels, but to write it off so quickly is not true. This is more so an altered landscape of what we typically would see. I photographed something real and transformed it into something unreal. © 2018 Ryan L. Taylor Photography. All Rights Reserved. Indian Riffle Park, Kettering, Ohio "Truth is rarely writ in ink. 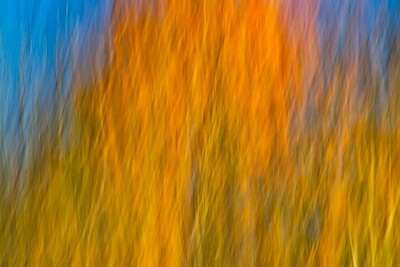 It lives in nature.” - Martin H. Fischer The attention-grabbing colors of Autumn become a photographic bonanza. Having the privilege to witness nature through the four seasons can really train your eye to see the same subjects more than once and in more ways than one. These same trees would be a rather dull green throughout the canopy if I took this same shot a few months earlier. 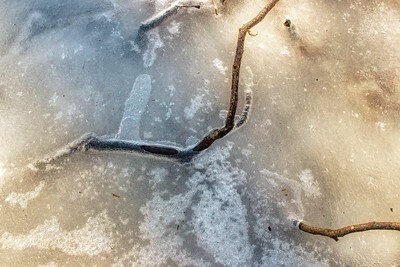 In winter the "cooler" colors and bare branches would prevail. 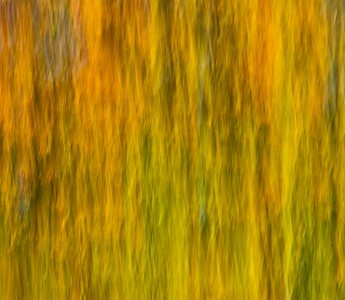 However, the colors come to life during Autumn. Offering a vibrant warmth that cannot be matched anytime else during the year. It's hard to pinpoint what makes creative blues so interesting to the eye. Is it the swirls of color that string out like hair? Is it the seemingly never ending textures as they fill up the frame? 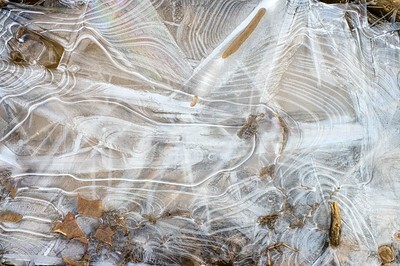 Maybe the art lover in me has a desire to photograph the art of nature rather than the reality of nature sometimes. 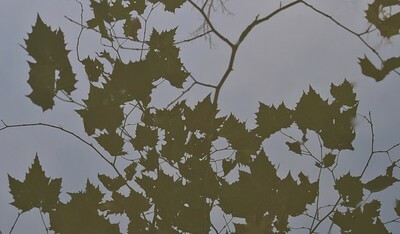 Also notice the dark blue patches at the top right are sky, yet the rest is all tree leaves. To top it all off, printing these images on textured fine art paper creates a more canvas, painterly aesthetic that I enjoy very much. © 2018 Ryan L. Taylor Photography. All Rights Reserved. Indian Mound Reserve, Cedarville, Ohio © 2018 Ryan L. Taylor Photography. All Rights Reserved. 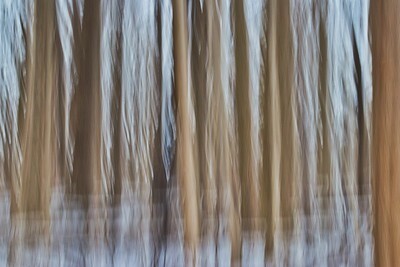 Cox Arboretum Metropark, Dayton, Ohio If you were given a fresh new set of eyes, what could you see? © 2018 Ryan L. Taylor Photography. All Rights Reserved. 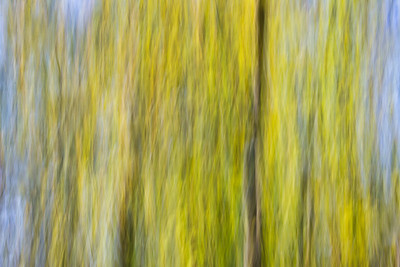 Sweet Arrow Reserve, Sugarcreek Township, Ohio This is a study in how many ways can I produce a abstraction while staying true to what the subject is. © 2018 Ryan L. Taylor Photography. All Rights Reserved. Sweet Arrow Reserve, Sugarcreek Township, Ohio Nature is my sandbox, a way to explore the light and shadow around me. 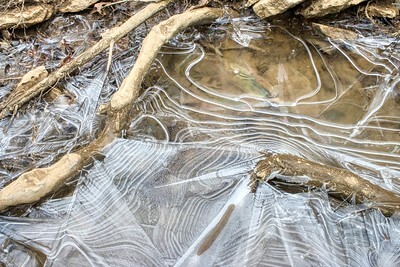 Nature is my blank canvas, open to every and all possibilities. Nature is my voice, to show the world what I have to offer. © 2018 Ryan L. Taylor Photography. All Rights Reserved. 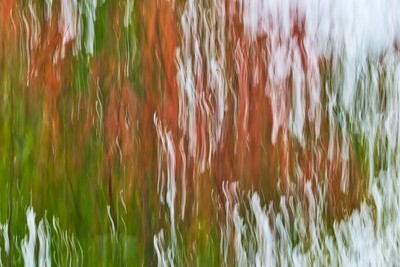 Caesar Creek State Park, Waynesville, Ohio "Colors and light. Separate black and white. The picturesque." A hallmark to the warmer end of the year. 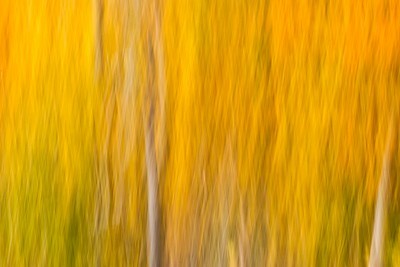 Autumnal colors are abound from the white bark of trees. Sunlight permeates the scene. 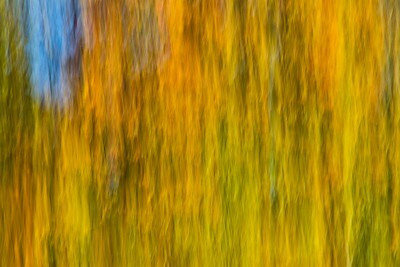 These abstracts are arborescent reminders that not everything has to be photographed the way we normally see them. Perhaps this is from my painting and drawing background. I believe it pays off in any artistic medium to study the art of others. Personally for me, I can become easily inspired. Study the greats and masters, then cherrypick the ideas that mesh with you. The goal is to add your own twist on it. Be different. © 2018 Ryan L. Taylor Photography. All Rights Reserved. 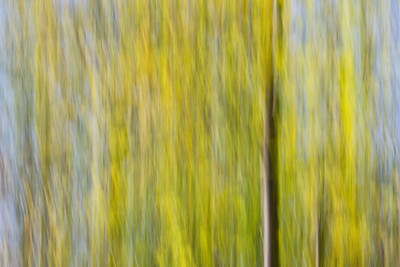 Caesar Creek State Park, Waynesville, Ohio Painting with the light, you could feel the trees! © 2018 Ryan L. Taylor Photography. All Rights Reserved. 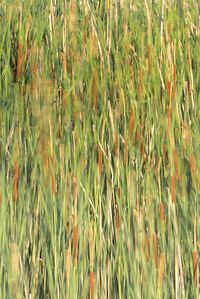 Oakes Quarry, Fairborn, Ohio For this picture of broadleaf cattails, I dialed back the shutter speed quite a bit to 1/6 a second. 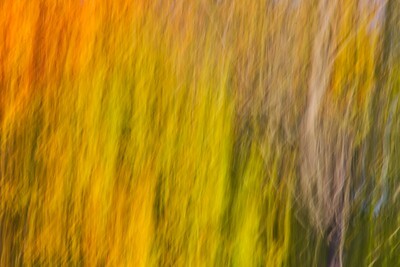 My plan was to slow the shutter enough to introduce the artistic blur while keeping it obvious what the subject actually was. 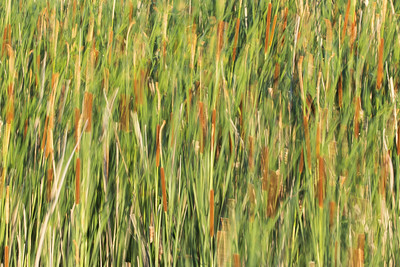 This was a breezy day and this patch of cattails resided by a pond out in the open. The afternoon light helped cast a warm glow for the image. Opting to put the entire frame well in focus, I used a very shallow depth of field with f/32. ISO was kept to a minimal at 100 due to the longer exposure time. I used my 75-300mm zoom at 150mm mounted on a tripod with cable release. I personally feel like if I can get someone to say "this looks like a painting" then I am flattered. 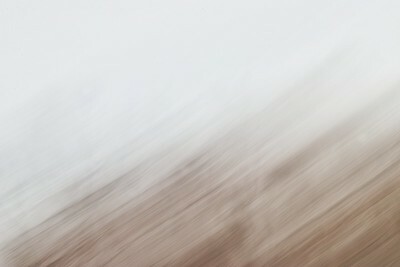 In a strange way, making a long exposure image look so far removed from being a "regular" image is my goal. I want it to look like a painting, as then it becomes more artistic and abstract. 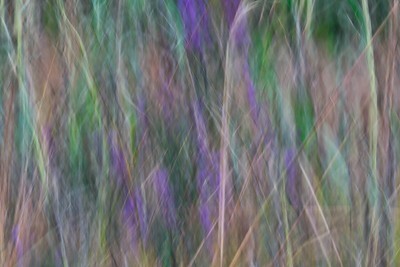 The impressionistic feel of this image is what I was aiming for: an "altered reality" look and I achieved it. © 2018 Ryan L. Taylor Photography. All Rights Reserved. Buck Creek State Park, Springfield, Ohio “Looking at beauty in the world, is the first step of purifying the mind.” - Amit Ray This is the work of having an idea envisaged and going after it. 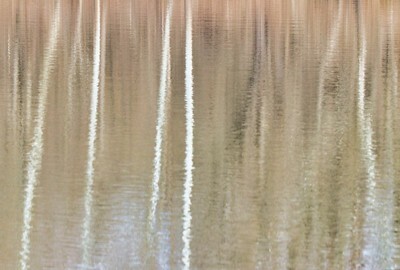 It takes a well developed eye to recognize patterns and reflections such as this one. Abstractions have diversified my portfolio to such a large extent. They feel unrestrained and creatively freeing. Almost in a lawlessness sense.."anything goes" in the artistic world. I probably would've walked past this subject a couple years ago, but now this is as interesting to me as any other grand landscape or otherwise. One could make this image even more confusing and unrealistic by rotating to a vertical composition. Make this world your world! You are the master and all the tools are in your possession. Dare to be different. 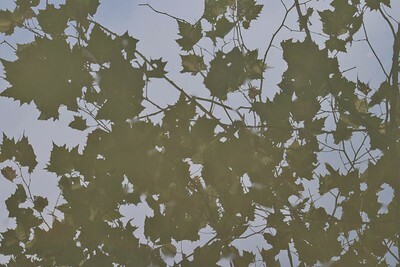 Flip that camera upside down and take a picture with the reflection on the upside. 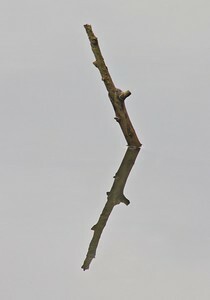 You may even try to photograph just the reflection only. The possibilities are simply endless and know no bounds. 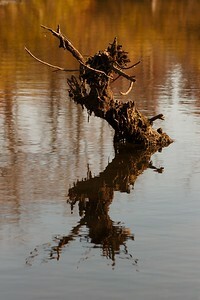 Driftwood in water is a prime example of taking the mundane and seeing it in a new way/light. Without the camera, I would simply be blind to it all. © 2018 Ryan L. Taylor Photography. All Rights Reserved. 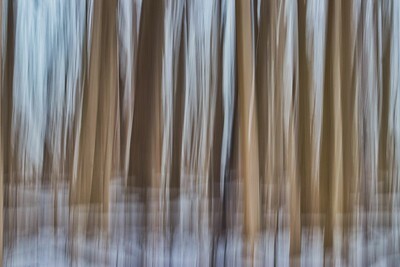 Siebenthaler Fen, Beavercreek, Ohio While I try my best to not romanticize the artistic aspect of photography, sometimes there is no other way. 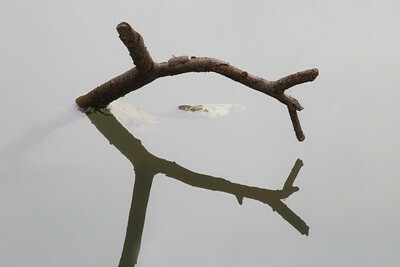 Reflections of animals and objects in water have remained a mainstay for my photographic interest. 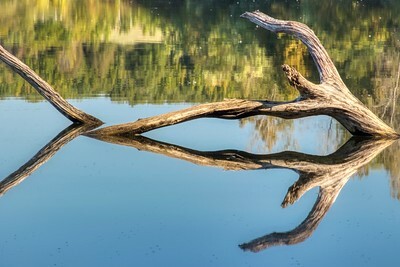 Here, a half submerged, mangled dead tree trunk piques my vision. The twisted nature of its' being interested me but wouldn't be enough to make for an image. 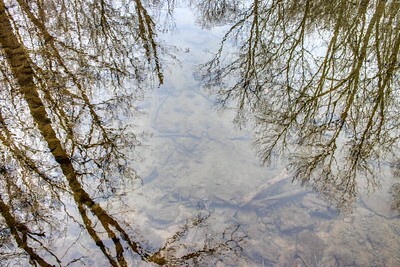 Fortunately, the near dusk reflection in the water of the Little Beaver Creek shows another side of the trunk. Symmetry is imperative in a balanced image like this, so the horizon line is placed straight down the middle. I have gone back many times to this same spot since then, and the tree trunk is no longer visible. Truly an image that cannot be recreated. © 2017 Ryan L. Taylor Photography. All Rights Reserved. Oakes Quarry, Fairborn, Ohio "Nature is pleased with simplicity. And nature is no dummy." - Isaac Newton Sometimes the simplest of subjects make for compelling images. 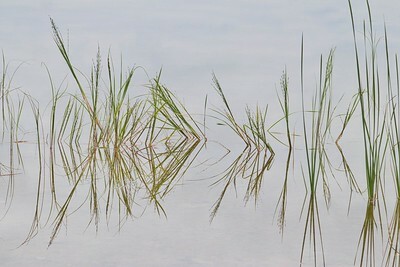 In the case of these reed grasses growing above pond water. 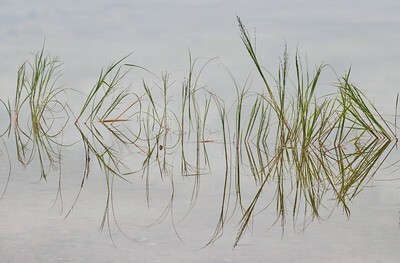 You'll find these grasses in just about any wetland environment as they tolerate high amounts of water. 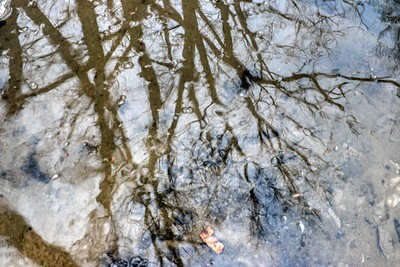 To make the photo, I used a Circular Polizaring Filter to accentuate the reflection and form. What would otherwise be a bland image becomes something more artful and fascinating. Converting to black and white can also show a whole other side to the subject that color may detract from. Both are plausible approaches. YOU are the creator, this is YOUR piece of work. That is why I love this so much. The feeling of empowerment helps break down creative walls we create for ourselves. Since I come from an art background throughout K-12, I love to incorporate those ideals into my photography. Having viewers be challenged to see what I intended to portray beyond the lens is one of the goals. I love to get others to think more about art and things they may see in everyday life they would otherwise pass by. I aspire to the idea of making a photograph having mean something to another, whether it's a bird species they're fond of or a location they resonate with. The medium of photo taking has a way of instilling memories and emotions in others that we may overlook in today's image-laden society. Billions of photos are taken each day so my personal goal is to make something I'm satisfied with. Hopefully it is also something that is different enough to stand out from the crowd. © 2018 Ryan L. Taylor Photography. All Rights Reserved. 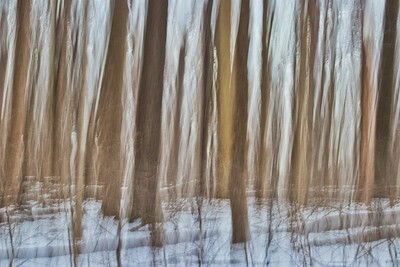 Eastwood Metropark, Dayton, Ohio © 2019 Ryan L. Taylor Photography. All Rights Reserved.